Hana N. Fountainstand and Naru Sekiya iPhone wallpapers. 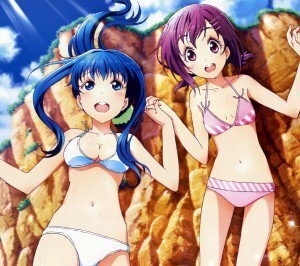 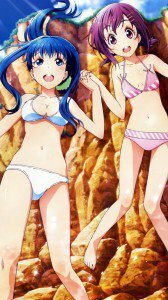 Yaya Sasame, Tami Nishimikado and Machi Tokiwa android and full-HD smartphone backgrounds. 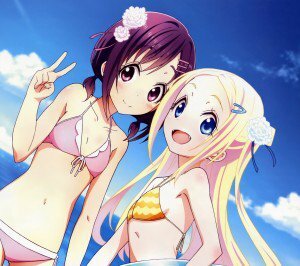 Hanayamata HD wallpapers for phones with 1080×1920 display resolution. 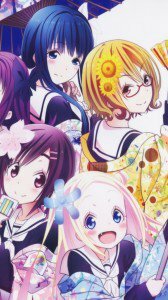 Hanayamata wallpapers for iPhone 6 (750×1334) screen size, and lower resolutions. 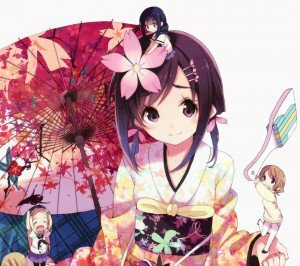 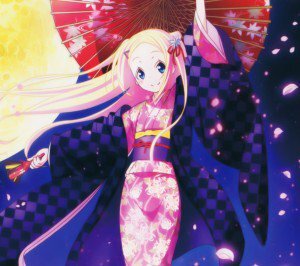 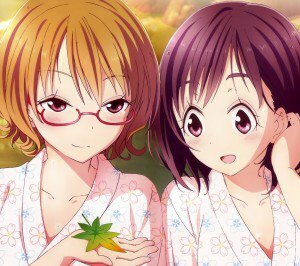 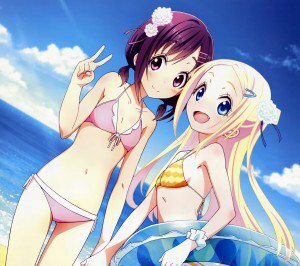 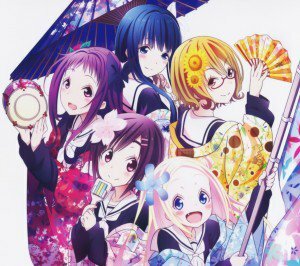 Hanayamata HD wallpapers for phones with HD 720×1280 display resolution. 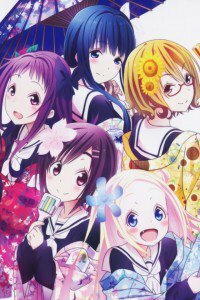 Hanayamata wallpapers for iPhone 4 and mobile phones with 640×960 screen size. 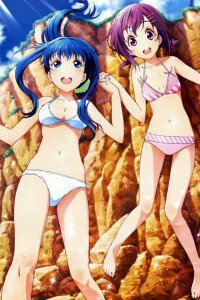 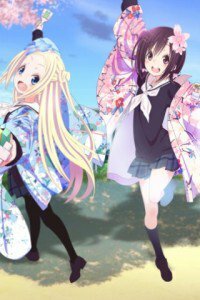 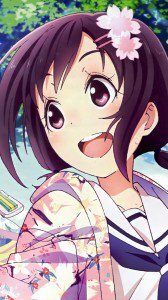 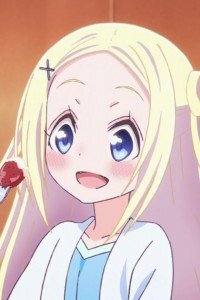 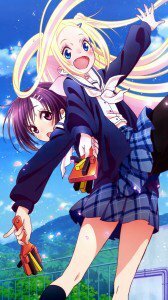 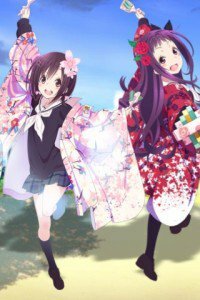 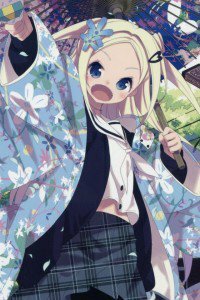 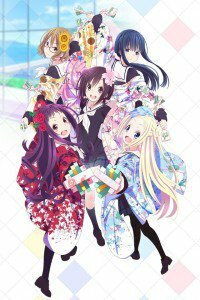 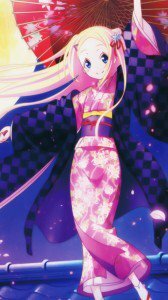 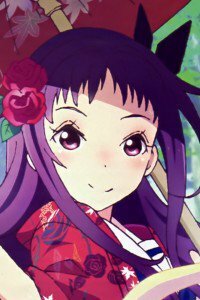 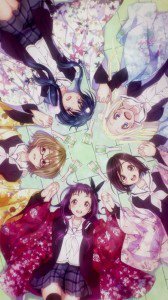 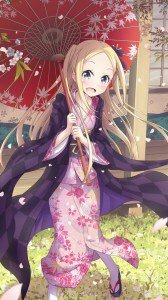 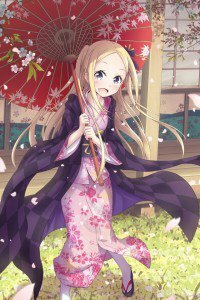 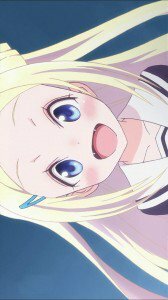 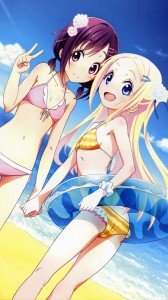 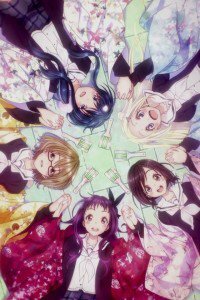 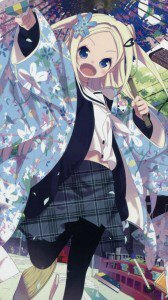 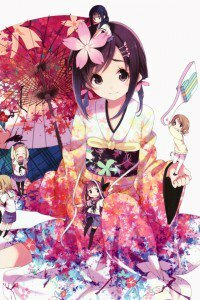 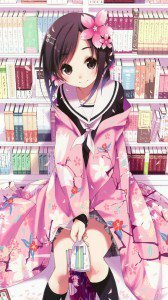 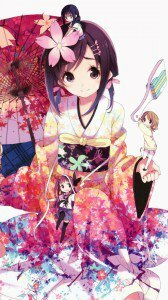 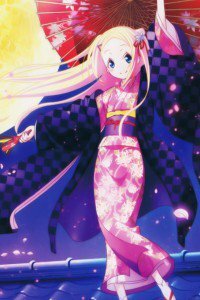 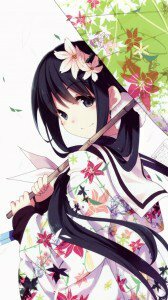 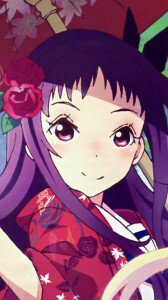 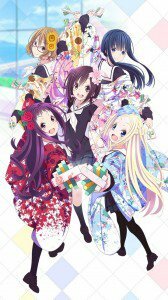 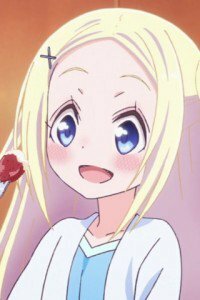 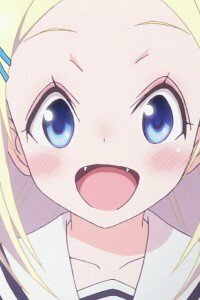 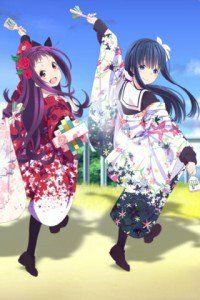 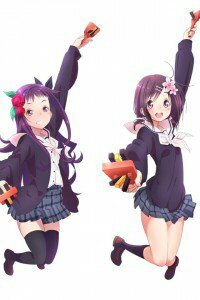 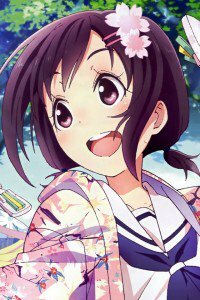 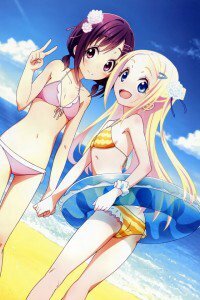 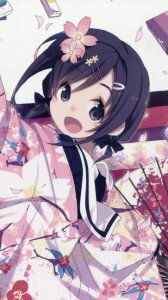 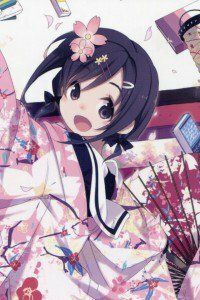 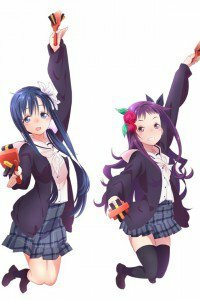 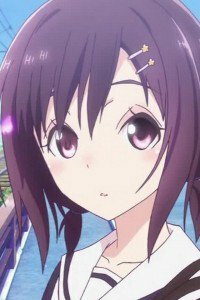 Hanayamata wallpapers for smartphones with 320×480 screen resolution. 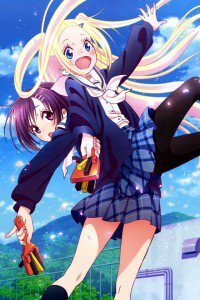 Genre: Slice of Life, Comedy. 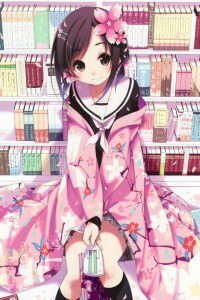 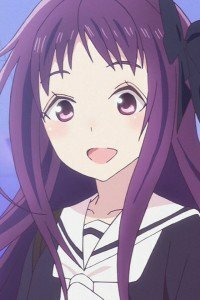 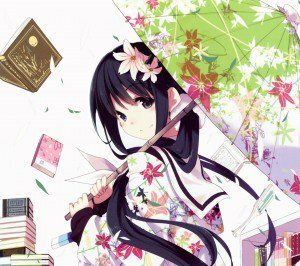 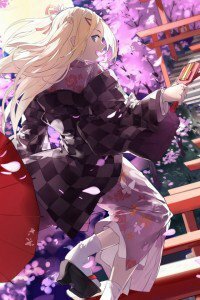 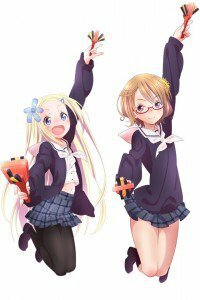 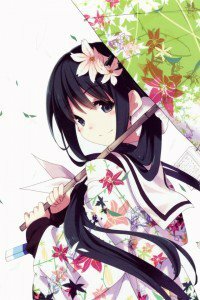 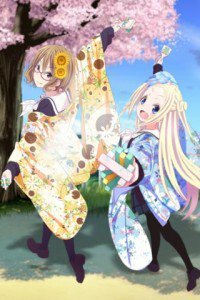 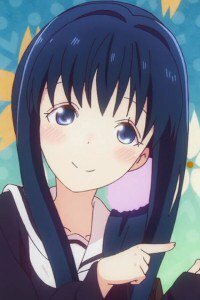 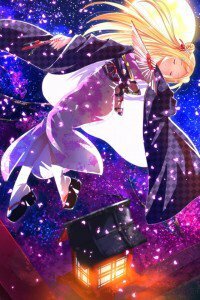 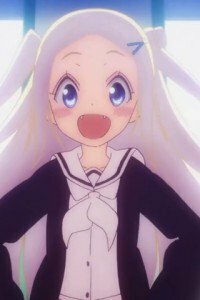 Naru Sekiya living an ordinary school life, but still likes to read fairy tales and dreams that ever with it a miracle will happen. 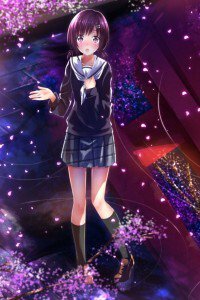 One night she meets her “fairy” – Hana, who is a foreign student girl. 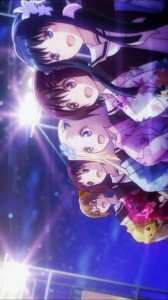 Hana invited her to dance together yosakoi, and now for Naru became less peaceful life, but there are real friends and hobbies.